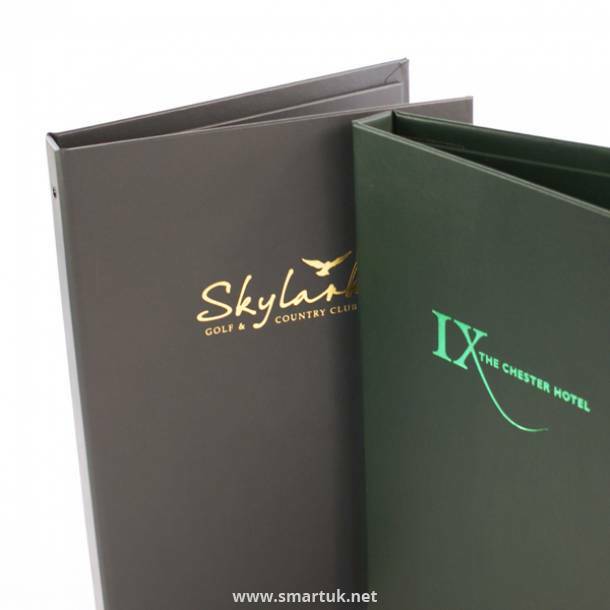 Hydra Hotel Guest Room Folders. 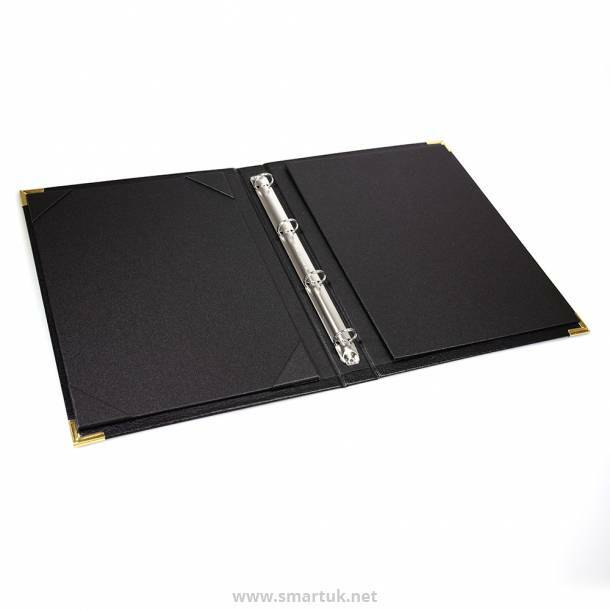 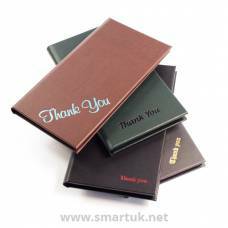 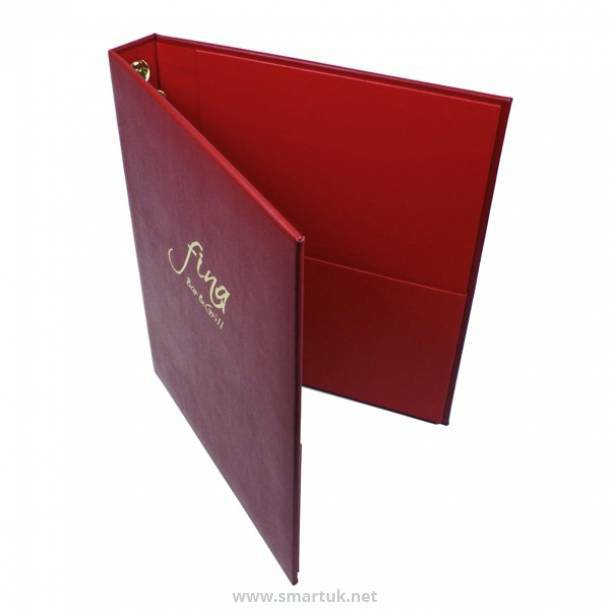 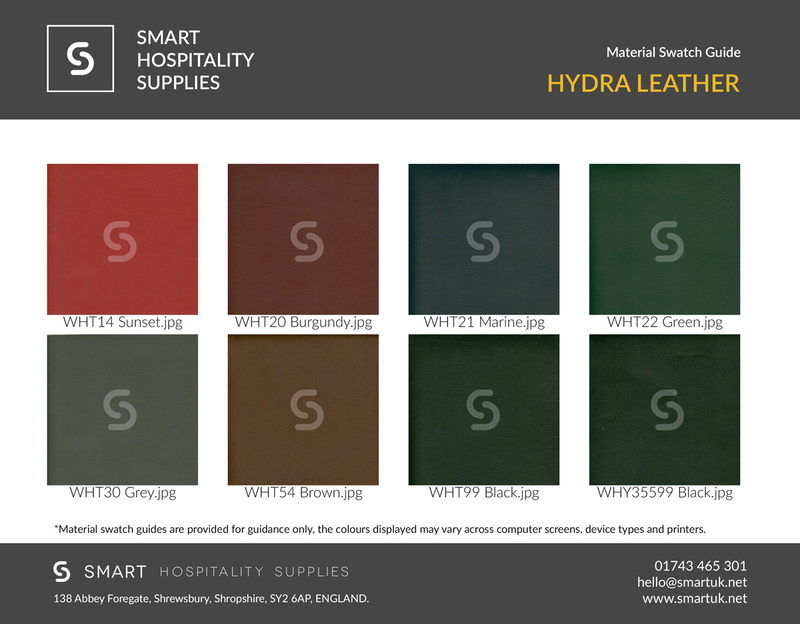 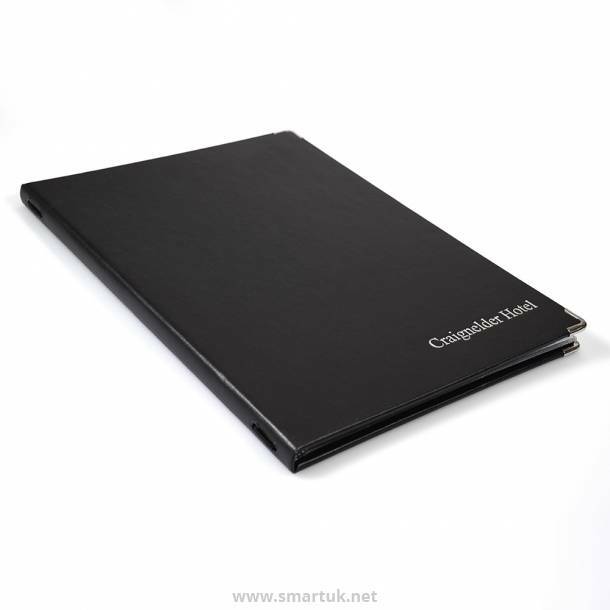 This elegant range of leather folders is incredibly luxurious and super hardwearing, available in a stunning range of colours. 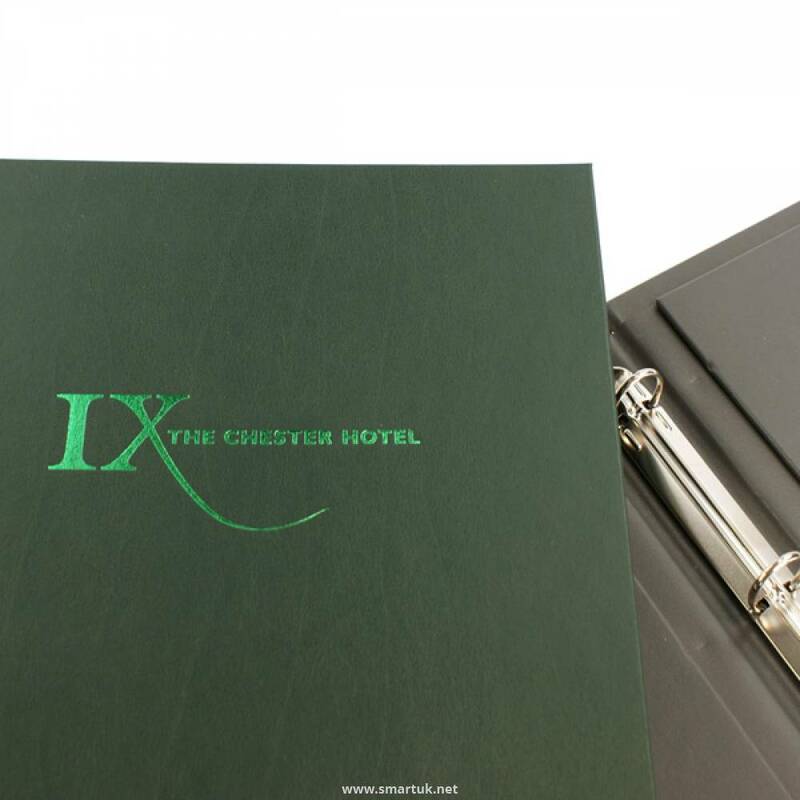 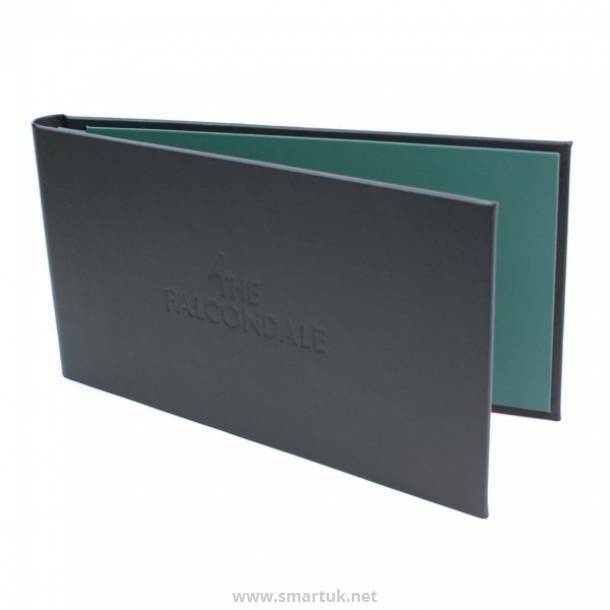 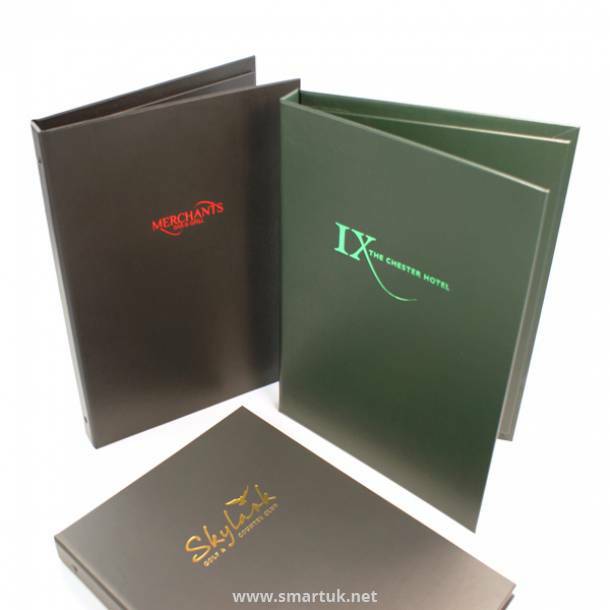 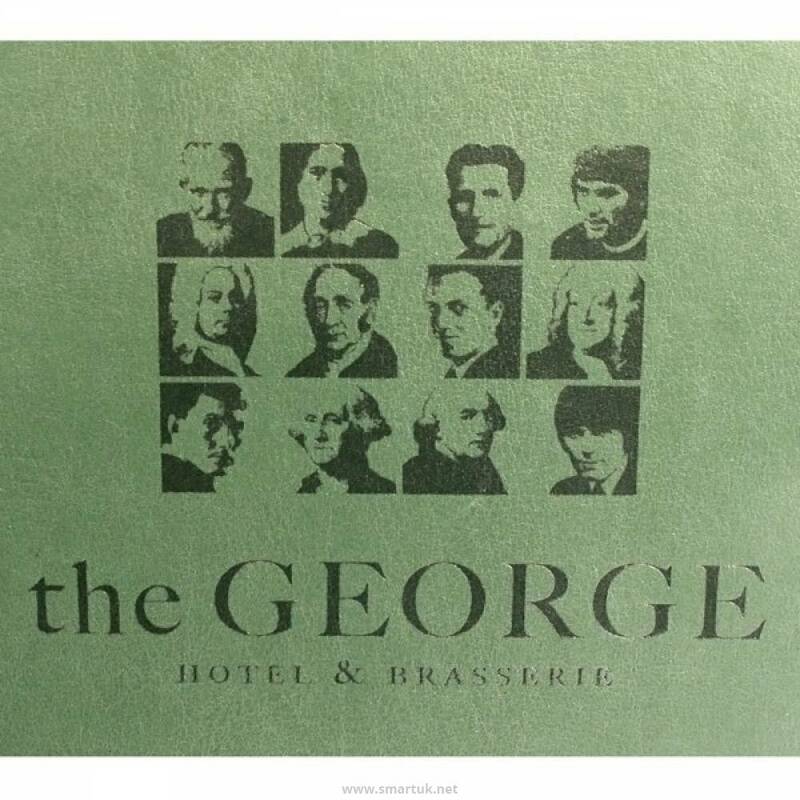 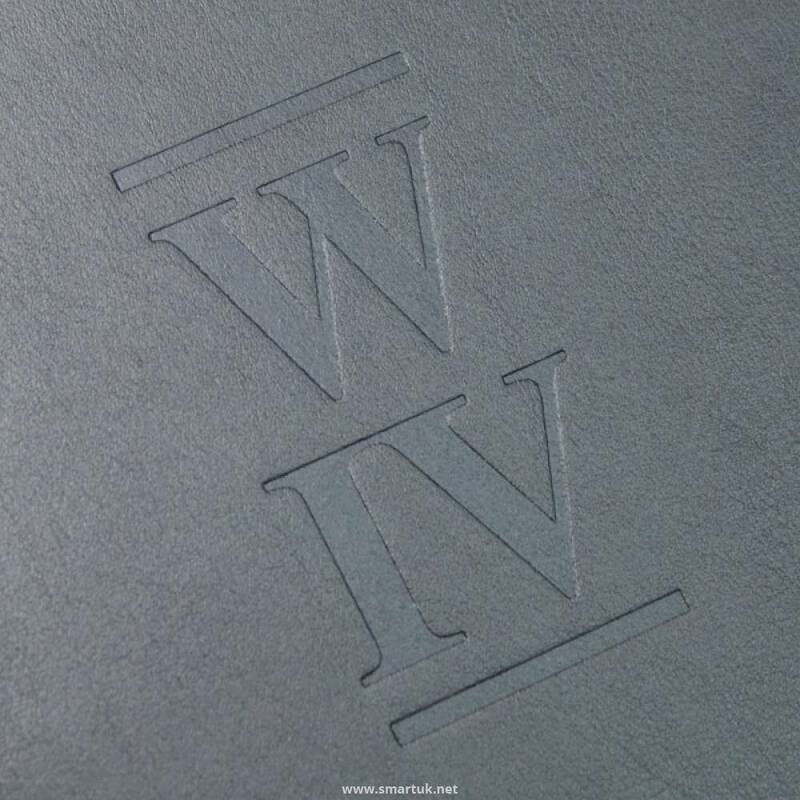 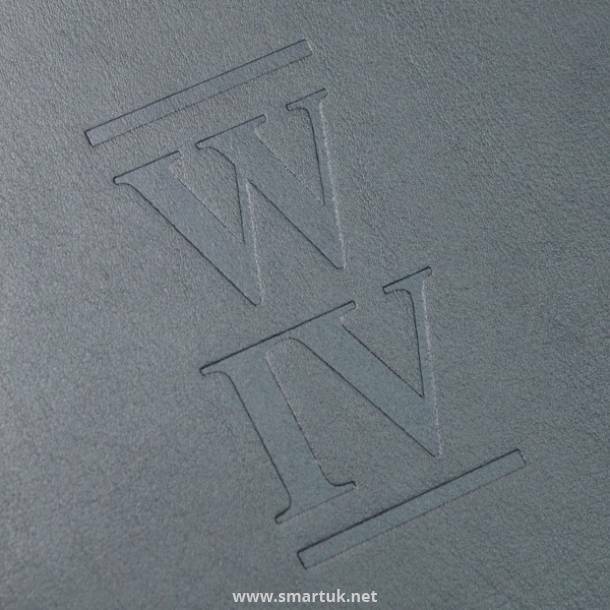 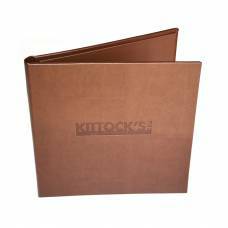 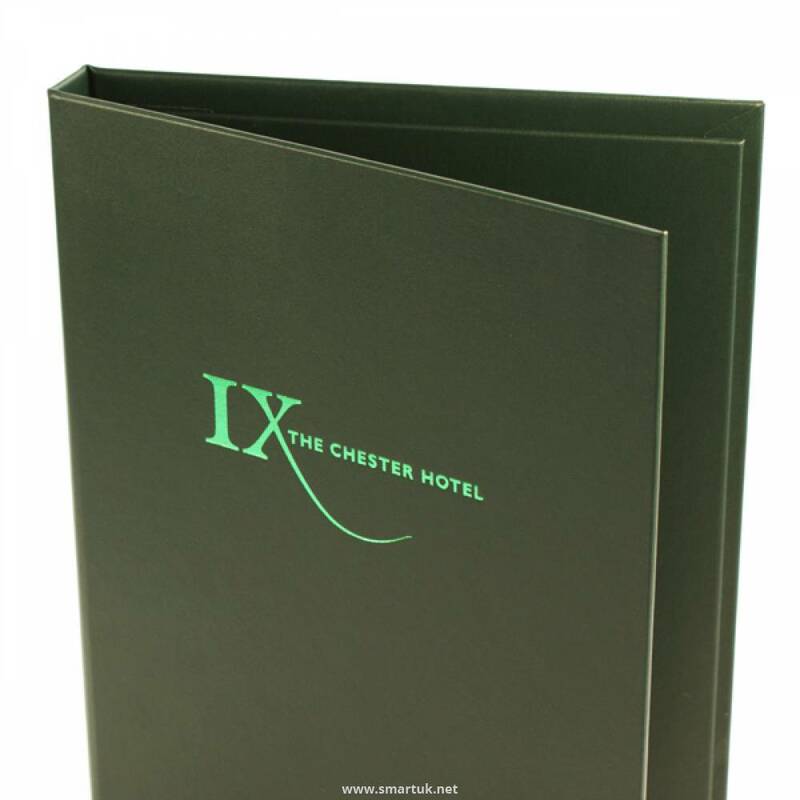 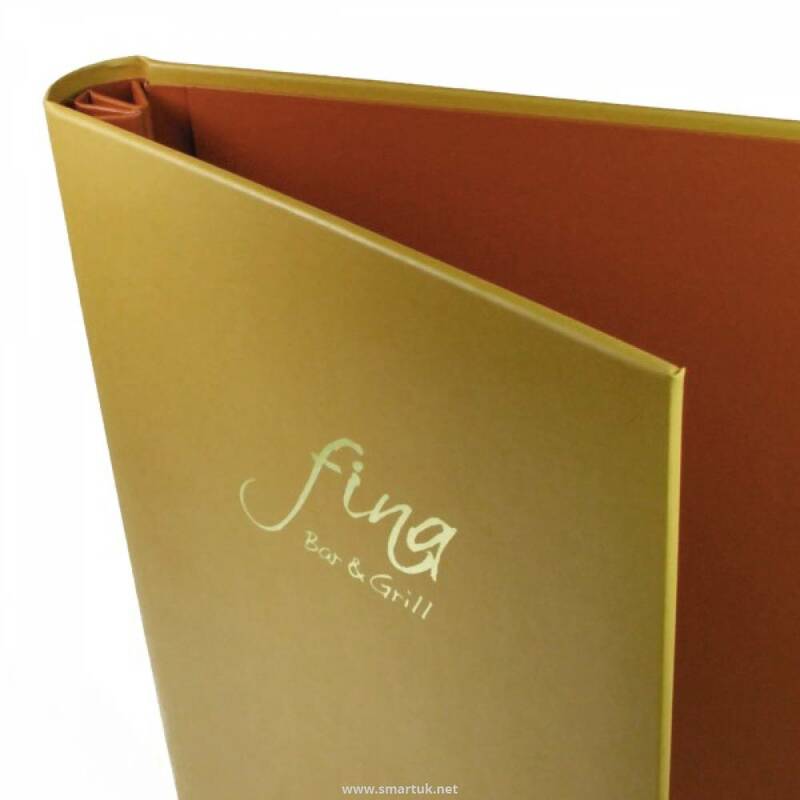 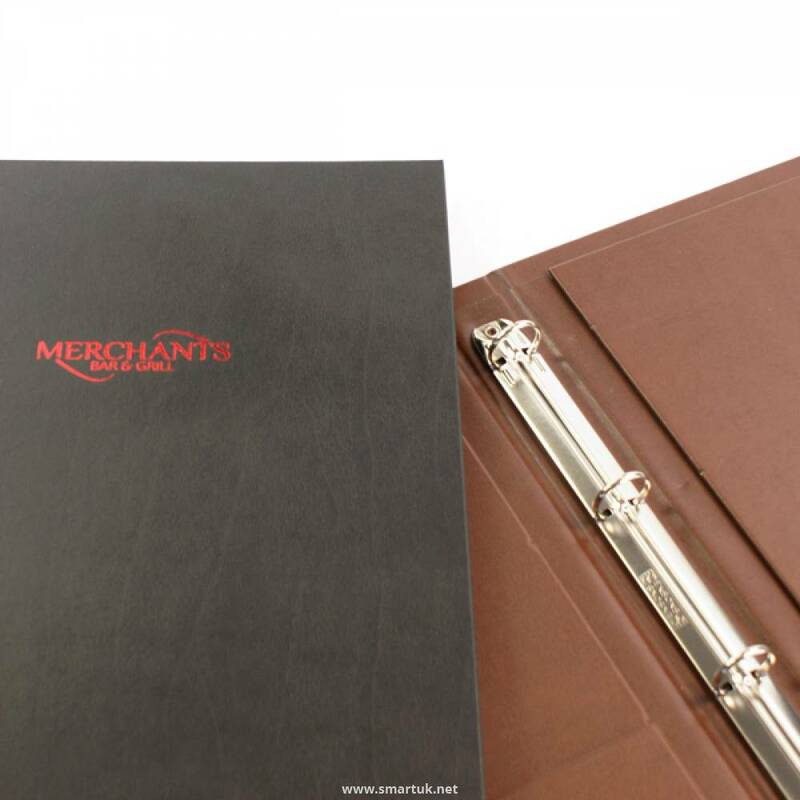 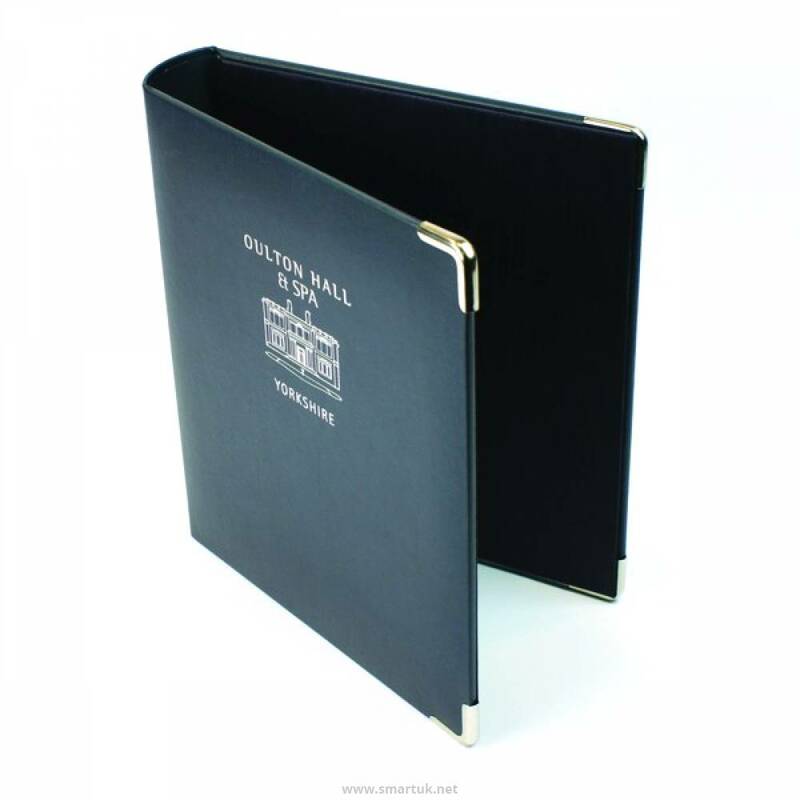 These leather folders are covered in a satin-finished, recycled bonded leather and lined with a MoirÃ© silk, these hotel folders are sure to reflect superbly upon your hotel or guest house. 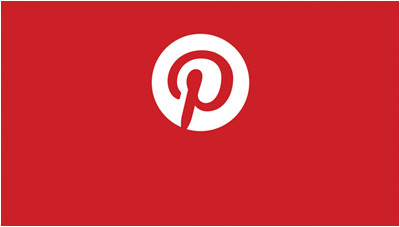 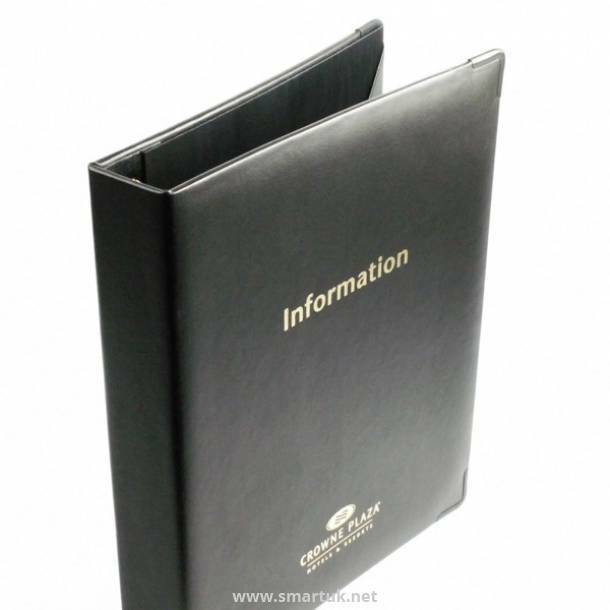 A ring mechanism or internal screw fixing comes as standard with the Hydra Guest Information Folder. 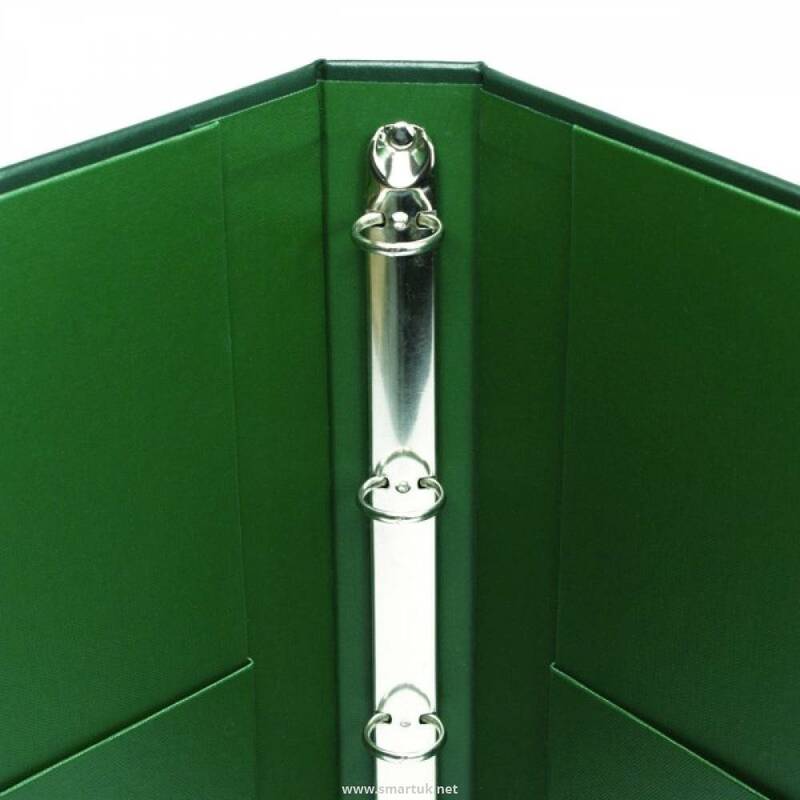 Either of these fixings can take PVC pockets or paper drilled directly. 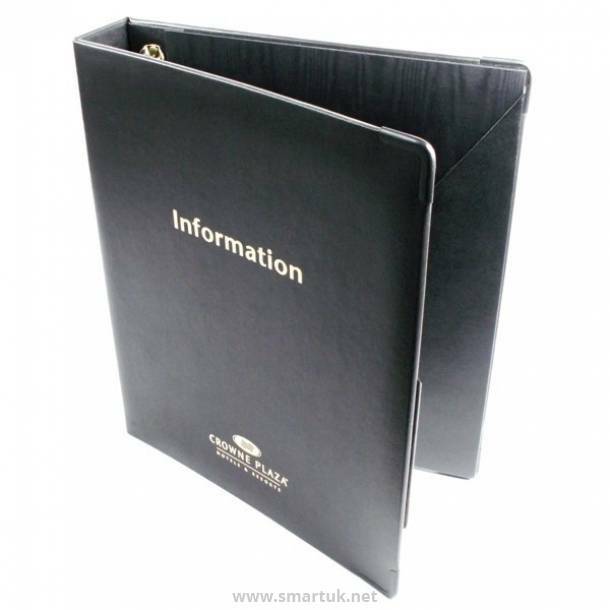 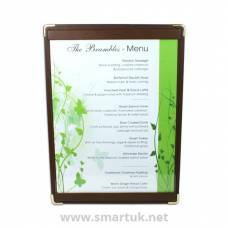 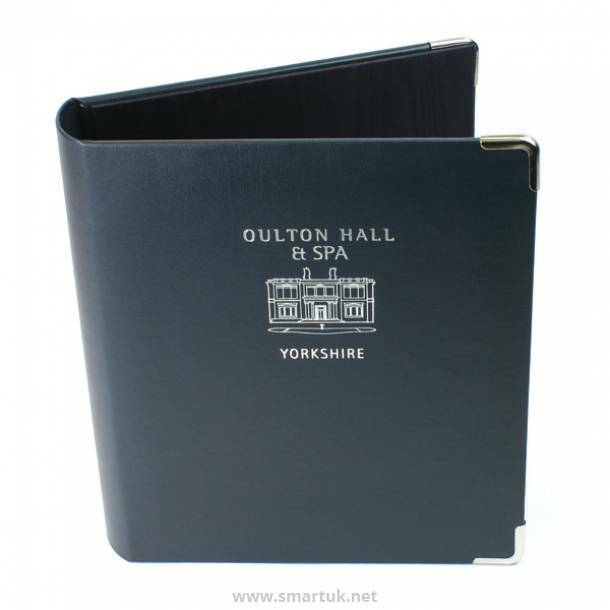 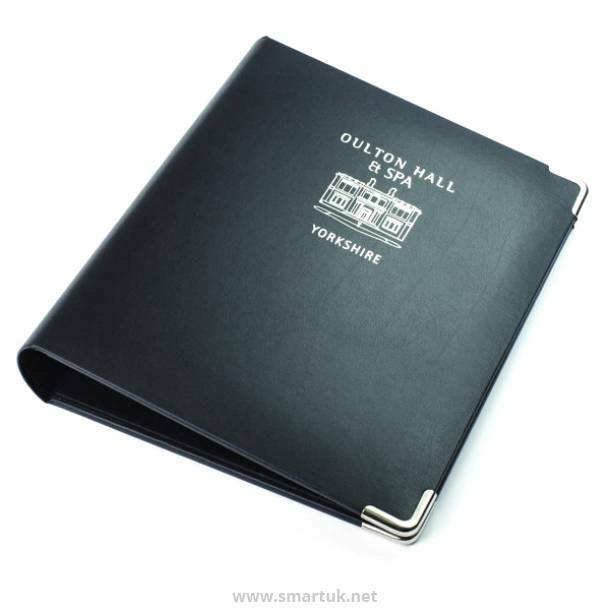 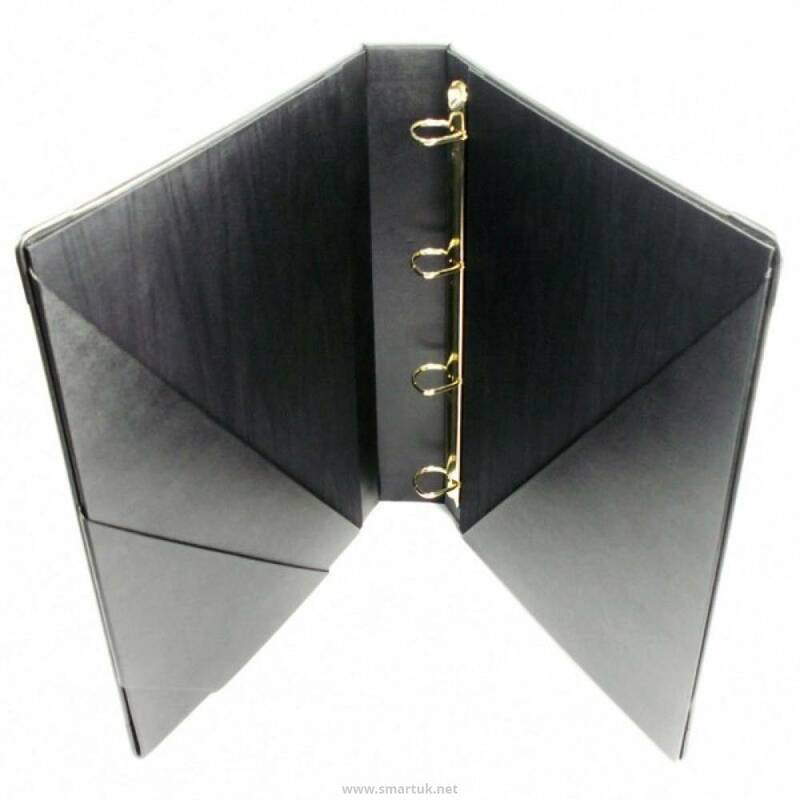 An optional pocket is available in the inside front of the guest information folder, or, alternatively, you can add as many inside front and back pockets as you require, at whatever shape and size you require them. 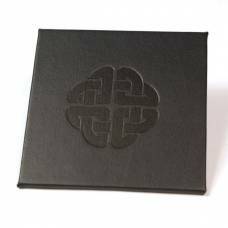 Furthermore, the Hydra Guest Information Folder is available with or without corner protectors. 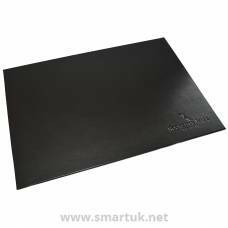 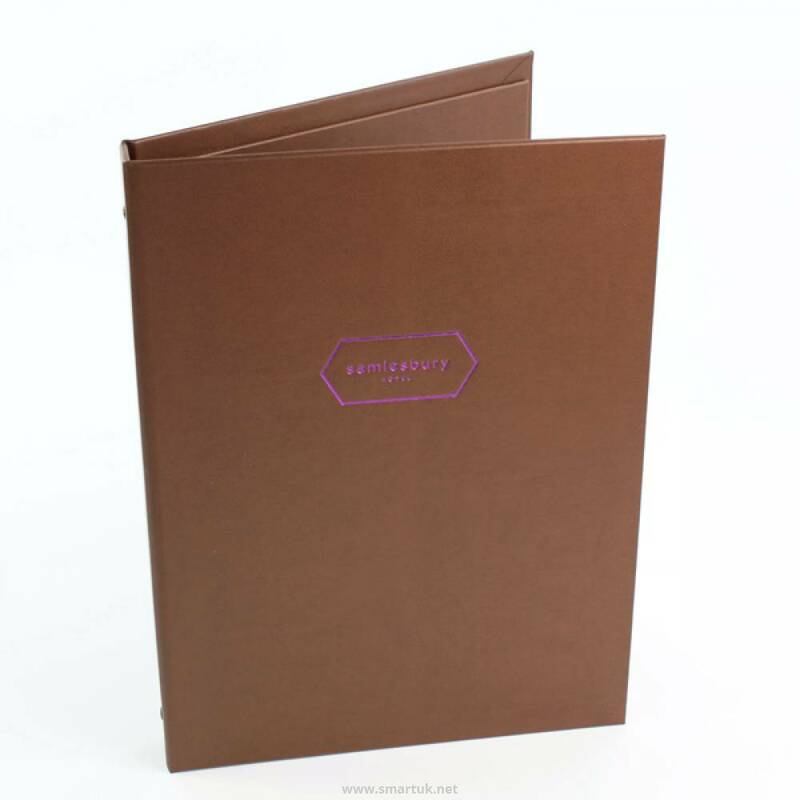 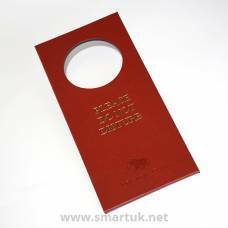 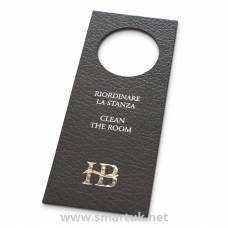 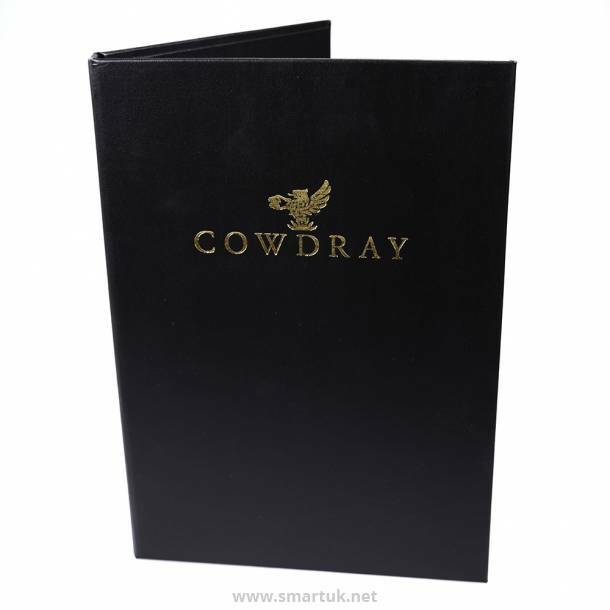 Due to the versatile nature of this leather guest information folder, we can make it larger to accommodate more information if required. 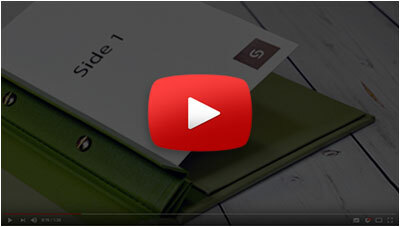 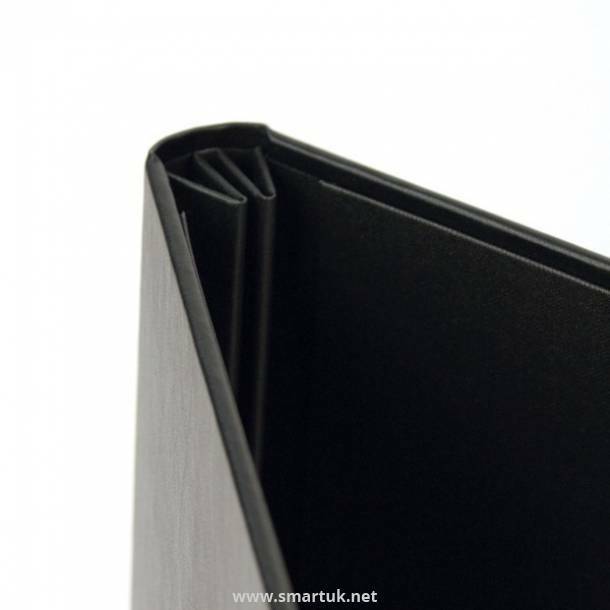 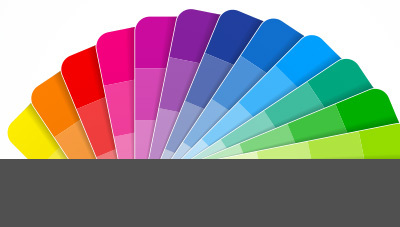 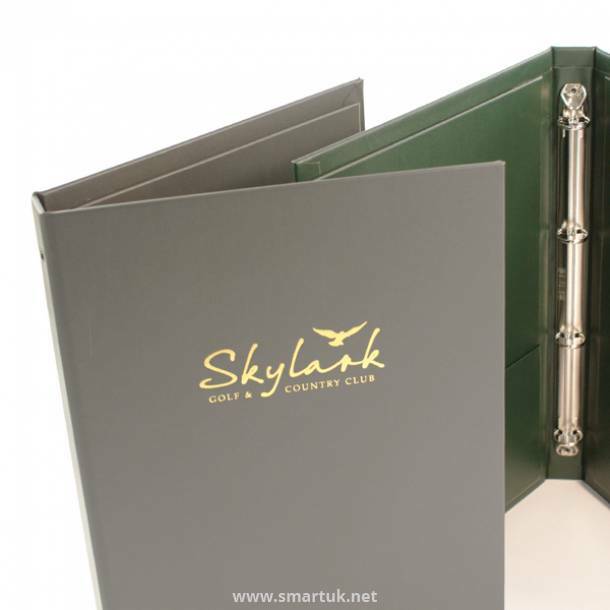 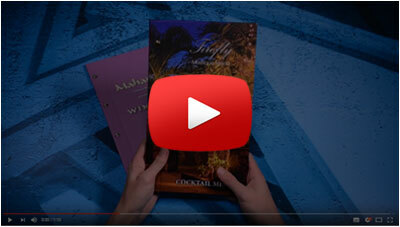 Simply let us know the capacity you require at the time of order and we will manufacture your folders to suit, a great solution for larger establishments that need to produce a lot of guest information.